and Referendum’ on the Cornwall Council website. A referendum will be held. 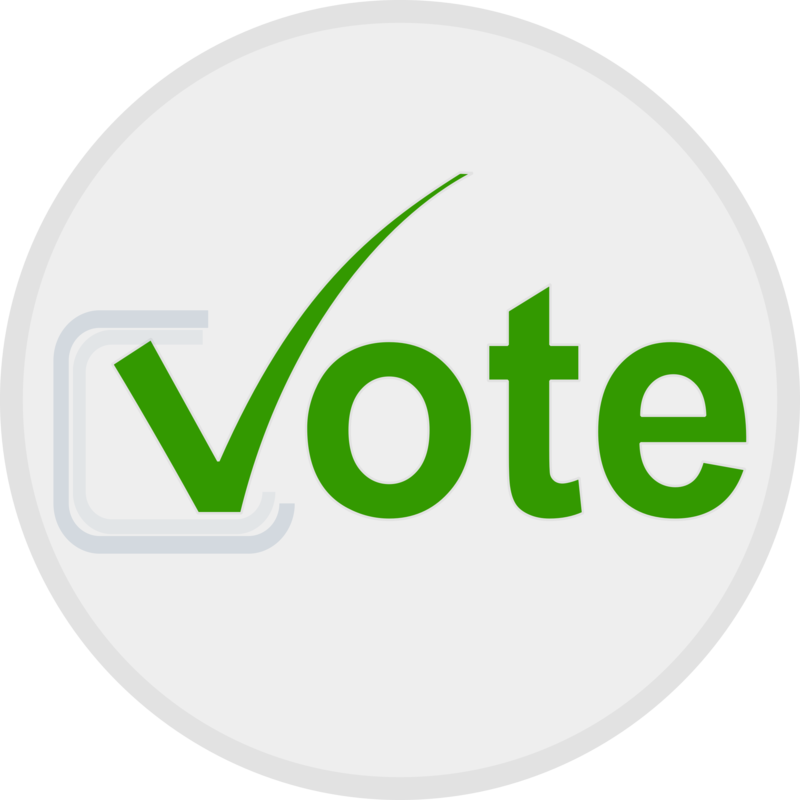 Look out for notices, Parish website and social media updates for when and where the ‘vote’ will take place. Supporting statutory documents can be viewed here. Please note our amended email address is RamePeninsulaNDP@btconnect.com. 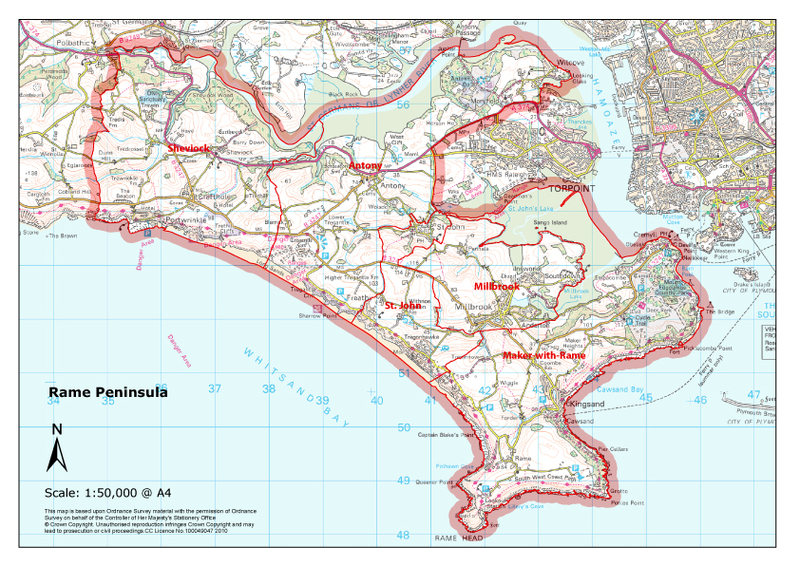 What is the Rame Peninsula Neighbourhood Plan? The government has given our local communities the opportunity to produce a Neighbourhood Plan for our local area, putting in place planning policies for the future development and growth of the neighbourhood. The plan will give our community the power to shape the future of Rame for the next 20 years. The first step was to make an application to produce a Neighbourhood Plan. More details about a Neighbourhood Plan, how the evidence needed to produce the plan has been gathered and a host of other information collated from land owners, businesses and residents can all be found on this site. Check out the News section for more information and links to Neighbourhood Planning in the press. A Neighbourhood Plan is a statutory planning document that can help shape land-use planning at a local level. It has to consider housing, environment and economy. It is a legal document and has to fulfil a range of criteria set out in the Localism Act regulations. On 27th March 2012, the Coalition Government published the National Planning Policy Framework (NPPF). The NPPF replaces the former, Caradon Local Plan, a local planning document which had policies in place to protect and conserve the Rame Peninsula and influence land-use planning decisions made by Cornwall Council for the area. Conversely, the Localism Act 2011, empowers local people and gives them “a major statutory say in helping to shape development in the areas in which they live” through the opportunity to develop a Neighbourhood Plan. Crucially, Neighbourhood Planning gives the parish’s of the Rame Peninsula the only opportunity to shape and influence (not stop!) development and change across the parish’s over the next 20 years. The Neighbourhood Plan has to pass a ‘test of soundness’ set by the planning inspector. If it passes, the NDP will then proceed to a local referendum (vote). There is a great deal of work to be completed by the local community before we get near to a referendum and a legal plan. The legal duty, in Cornwall, to instigate the development of a Neighbourhood Plan falls to the Parish Council. 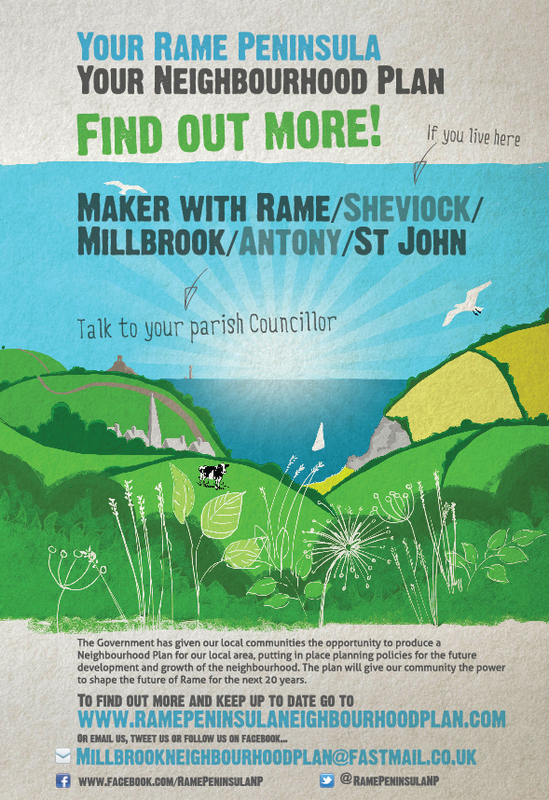 The five parishes on the Rame Peninsula (Antony, Millbrook, Maker with Rame, Sheviock and St John) decided to join-forces and work on the Neighbourhood Plan together. See how other parishes in Cornwall are progressing with their Neighbourhood plans on the Cornwall Council web site. Note: the views and information within this site are that of the authors for and on behalf of Rame Peninsula Parish Cluster Steering Group. Every effort has been made to ensure accuracy and a correct and balanced view and does not accept liability for any errors or omissions. We think that NO more homes should be built but all properties not lived in for four months should be taken by the council and made into apartments for rent at a fair price and some affordable to buy at a price an ordinary Cornish person can afford. these properties should never be allowed to be used for holiday lets or second homes again. Also these properties should be lived in only by local people (20 mile radius). A Neighbourhood Development Plan which prohibits the development of new homes would be contrary to legislation. The planning system as it currently stands does not provide for Local Authorities to monitor how homes are occupied and it would be very difficult for any such proposals to be enforced. In addition to only limit the occupation of homes to people who live within a 20 mile radius would be in breach of the 2004 Housing Act. Response from Professional Planning Officer. I thought the presentation at the Sheviock Memorial Hall was excellent.But would like to offer the following comments so that when,at a later stage any external or otherwise examiners of the Plan and indeed planners, who do not know about the Rame Peninsula will not think it is like any other easily accessible route for people and supplies .This comment should be available by computer link rather than by any other system. and always available. “Throughout the Rame Peninsula the internal roads and the feeder road system are chronically overloaded, designed or rather created for and by Horse and carts, not for the 21st century cars,vans and latterly the 40 Ton articulated lorries. Careful consideration must be taken of this inhibiting factor when any planning, development or restructuring within any of the Rame Peninsula Parishes is being considered. The only main access routes, onto the Rame Peninsula, are through Parishes of Sheviock and Antony both having very narrow roads, right angle junctions and old house, whose foundations are troubled by the ever increasing heavy and constant lorry movements. The narrow roads through Crafthole are vaguely wide enough to allow passage of cars let alone the much larger vehicles. One of the main reasons for large lorries is the D.S.Smith factory opposite the entrance to the road to St. John. The powers to be should provide incentives to move this to the trading estate at Torpoint which has plenty of space. I cannot understand why it was allowed to be built in the first place. This factory has been in this community for years. It provides much needed jobs for people living in Millbrook giving much needed jobs to the village of Millbrook. Removal lorries. Tour buses to name a few travel past D.S. Smith every day.